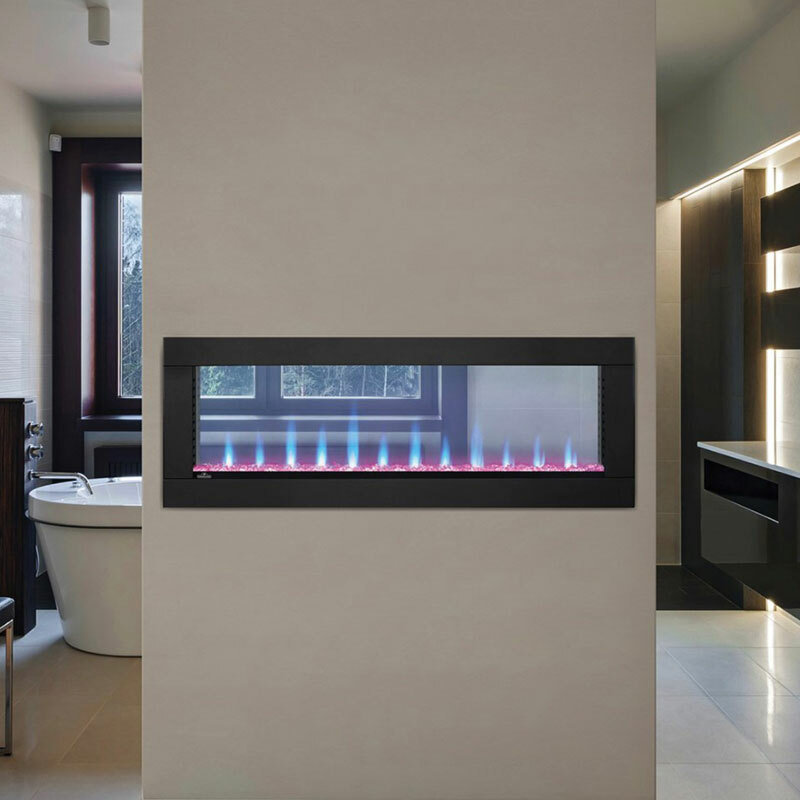 The CLEARion™ See Thru Electric Fireplace is the first ever truly see through electric fireplace. A CLEARion™ Electric Fireplace can be plugged in or hardwired directly into your electrical system creating a relaxing environment in two rooms. This unique fireplace can heat separate rooms at different rates, increasing the comfort of two spaces at the same time. Customize this fireplace with either a sparkling crystal media ember bed or the hand-painted South Beach Logs with Topaz Glass Embers; both sets are included. Illuminated from below by LED, color-changing lights, both ember bed styles glow with a luxurious feel that can be seen from two rooms.